Lexus is displaying its LS+ Concept alongside the new UX, ES and RX Special Edition at the 2018 Kuala Lumpur International Motor Show. 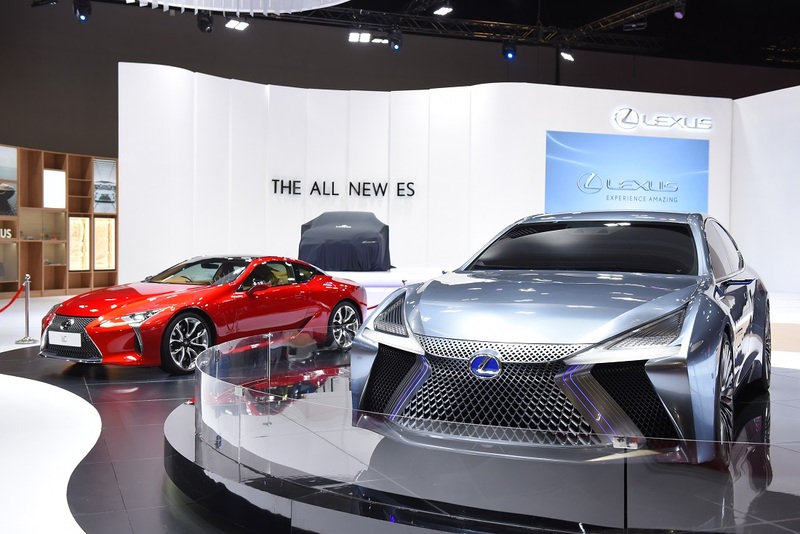 The Lexus pavilion also includes the striking LC500. “The inspired technology of Lexus vehicles today brings with it unsurpassed luxury and premium quality in every segment, creating platforms that are not only stunning to admire, but also to experience,” said Ravindran K, President of Lexus Malaysia. 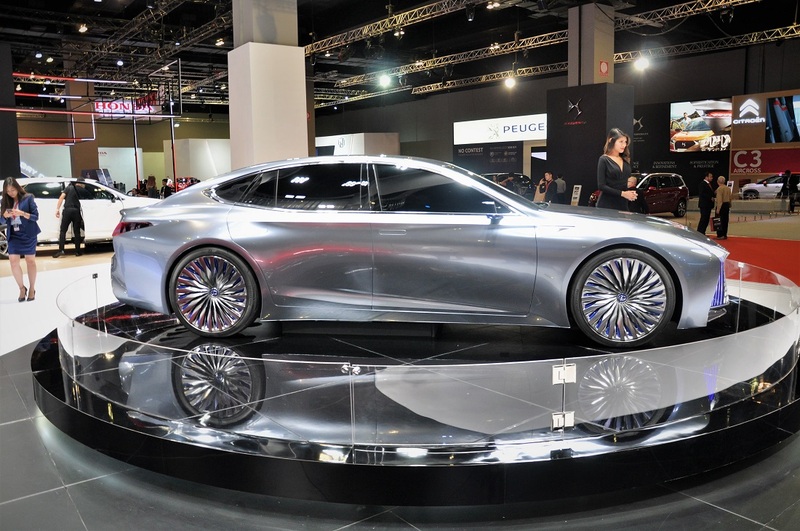 The LS+ Concept is the premium brand’s advanced flagship saloon to showcase its automated driving system. 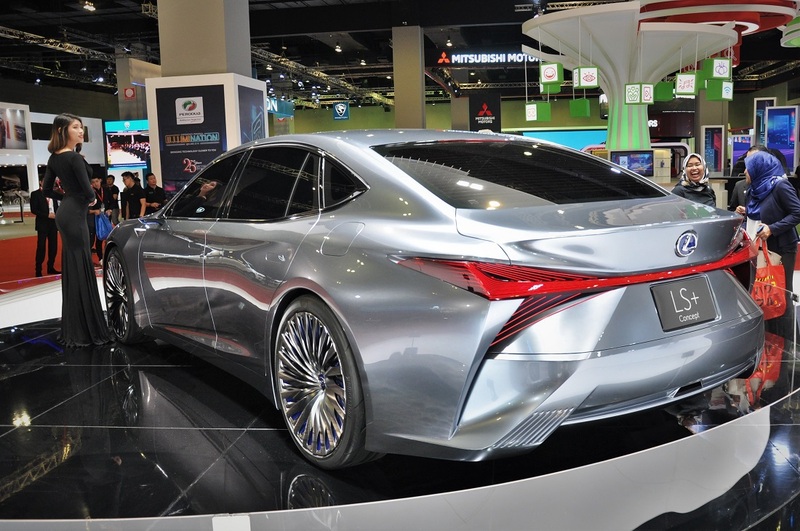 Under the sharp, futuristic design is Lexus’ Integrated Safety Management Concept which represents the brand’s take on safe autonomous driving. This will be the base for Lexus engineers in developing a car with fully automated driving system which is planned by 2020. 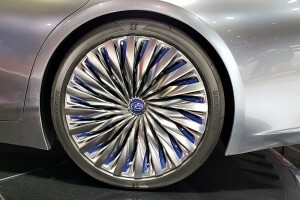 Using AI (artificial intelligence) and a host of advanced data that the vehicle is able to receive, the plan will allow cars to join and leave highways safely and efficiently, with the Highway Teammate application as the assistant system that takes care of lane-changing, overtaking and cruising. 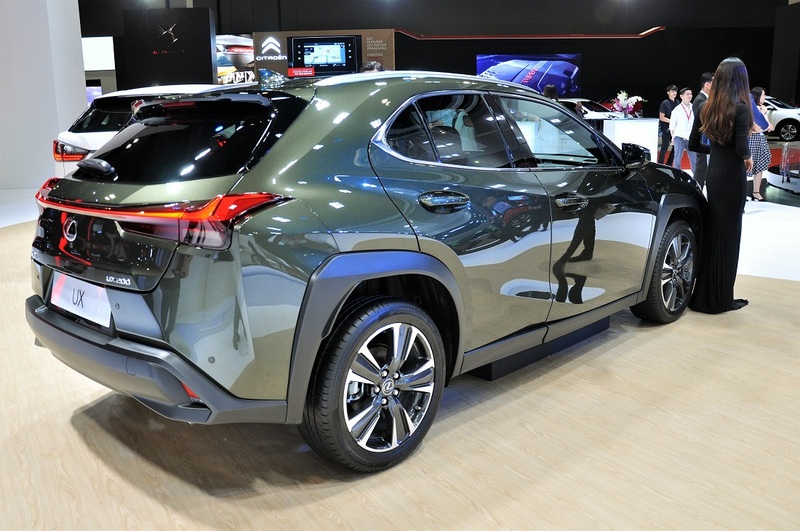 The Lexus UX (or Urban Crossover) is a compact SUV and Lexus’ first foray into this growing segment. The UX is built on the company’s new GA-C (Global Architecture – Compact) platform that boasts of a high level of rigidity and low centre of gravity for a more dynamic and sure-footed drive. 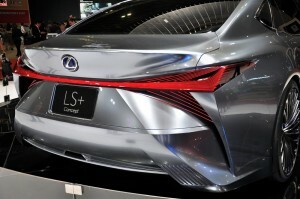 Up front is the new Spindle Grille design while the rear gets a unique tail lamp that doubles as a spoiler for improved stability. 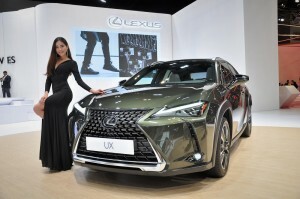 The UX’s roofline is sleek and slopes gradually towards the rear in a sports coupe fashion. 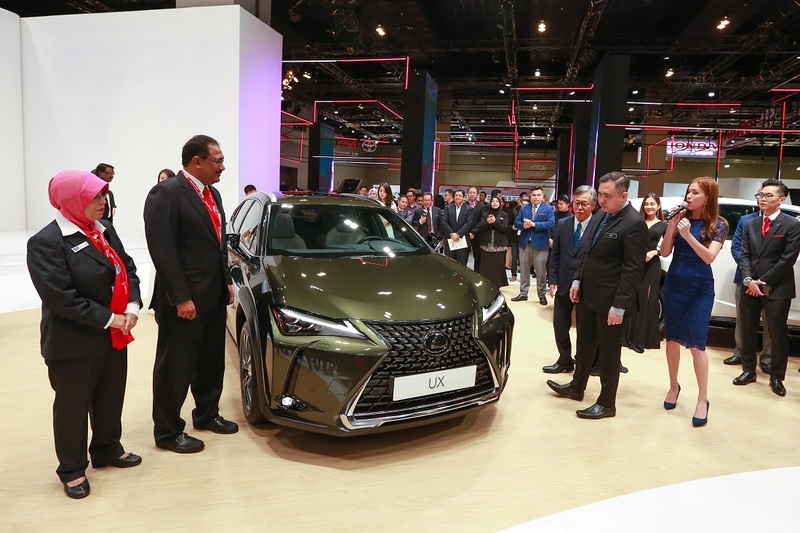 The cabin bears new design elements and materials, like the Washi (Japanese paper) texture on the trim and the Sashiko stitching on the leather upholstery. 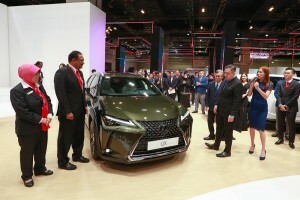 The UX is claimed to have the largest head-up display in its class, and also comes with a 10.3″ EMV display on the centre console and a 7″ digital combination metre cluster. 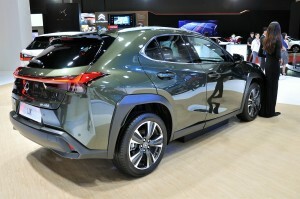 The aural experience is courtesy of the 8-speaker Lexus Premium Audio system. 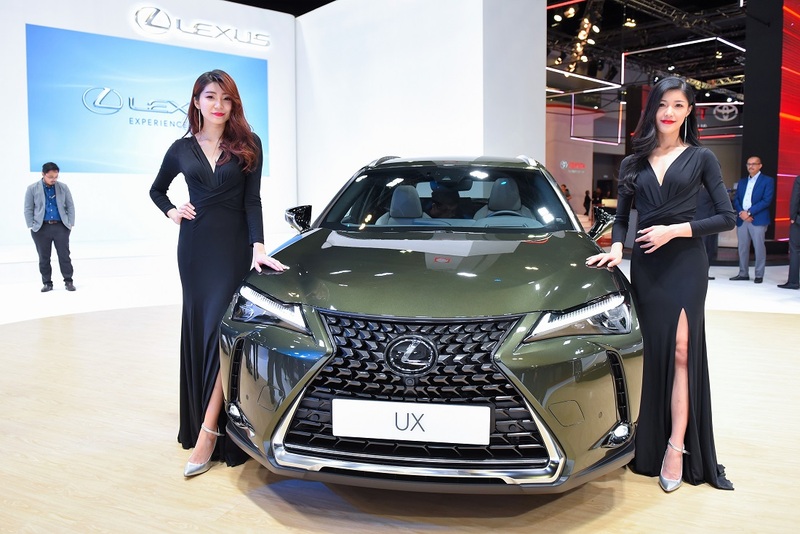 Powering the UX is a new 2.0L engine with 169 hp, paired with a Lexus-first transmission that features a mechanical first gear and a CVT (continuously variable transmission), to provide spirited acceleration from standstill and a quieter drive with impressive fuel economy. Safety features included in the Lexus Safety System+ are Pre-collision System (PCS), Adaptive Cruise Control (ACC), Lane Departure Alert (LDA) and Adaptive High-beam System (AHS), among others. The development of the UX was led by Chief Designer, Ms Chika Kako, the first female chief engineer in the history of Toyota Motor Corporation. 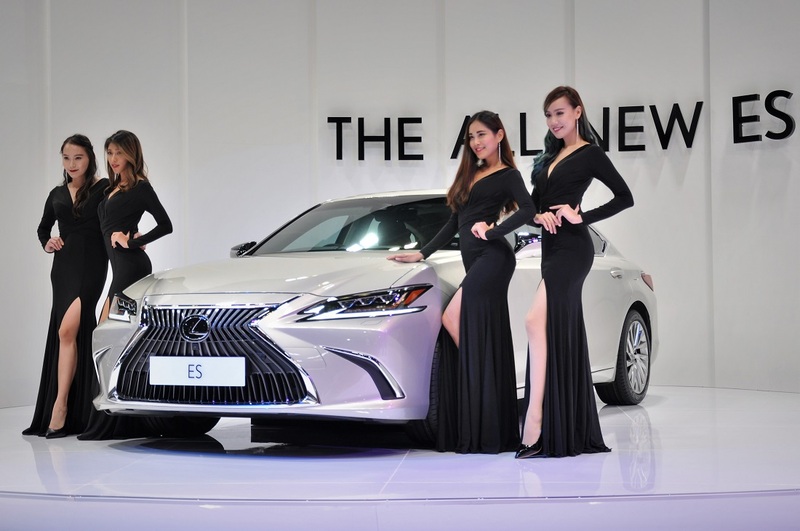 The Lexus ES on display is the seventh generation of this executive sedan. 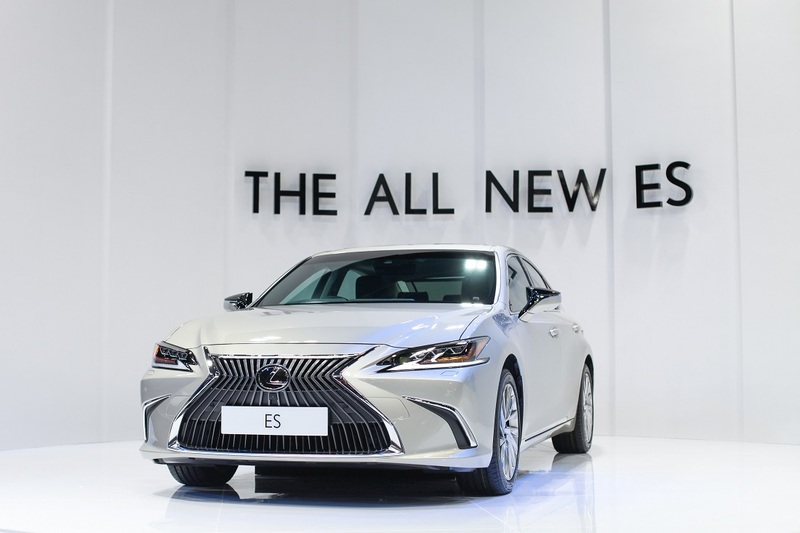 The all-new ES features a new design that accentuates the signature Spindle Grille. 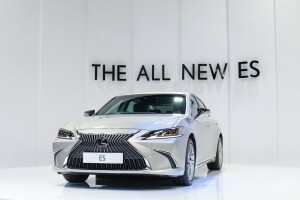 There’s an all-new 2.5L engine mated with a direct-shift eight-speed automatic (another Lexus-first) that offers quiet and linear acceleration. 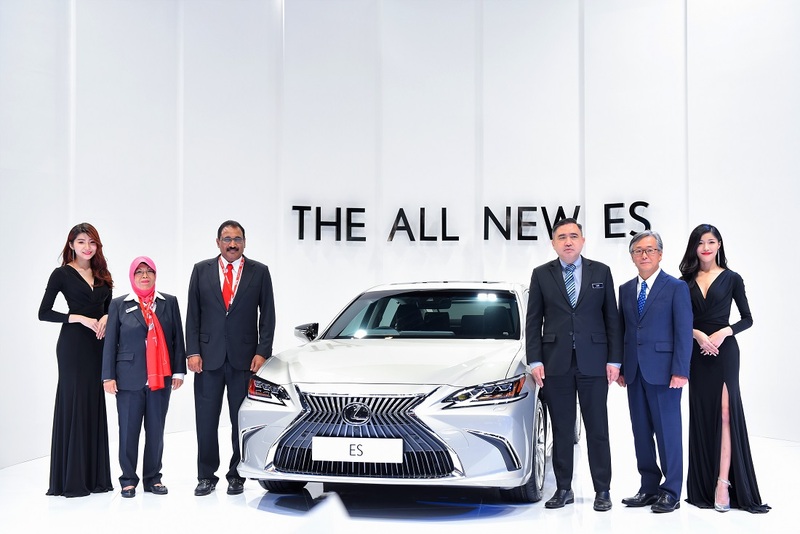 The Lexus ES is also equipped with the Lexus Safety System+ suite that includes various active safety features to prevent or minimise the severity of an accident. Inside the car, there is a large 12.3″ EMV display, a head-up display that is the largest in its class, as well as a 7″ digital combination metre cluster. 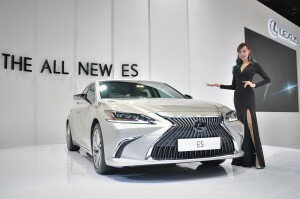 Rear passengers in the ES get to enjoy a new powered reclining seat, as well as powered sunshade. 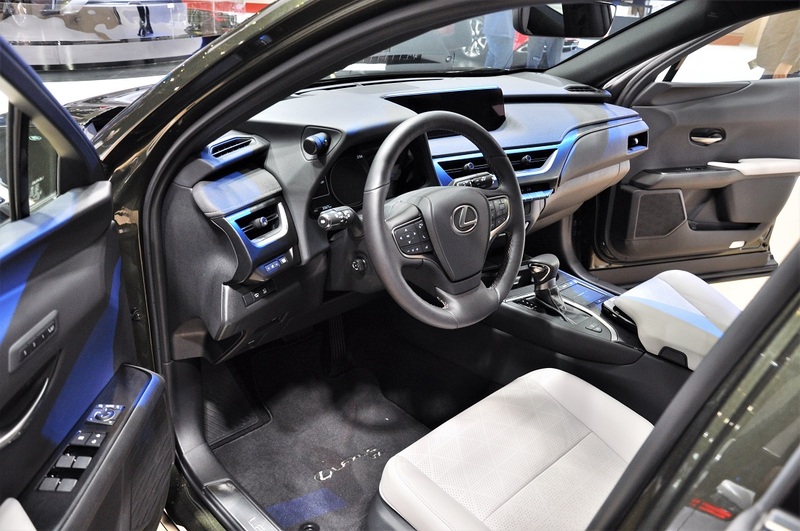 Audio system and air-conditioning controls are conveniently available on the centre armrest panel. 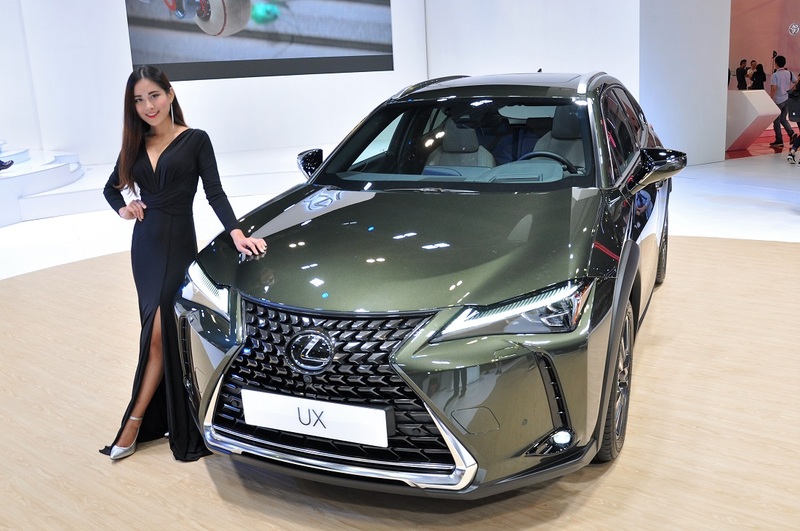 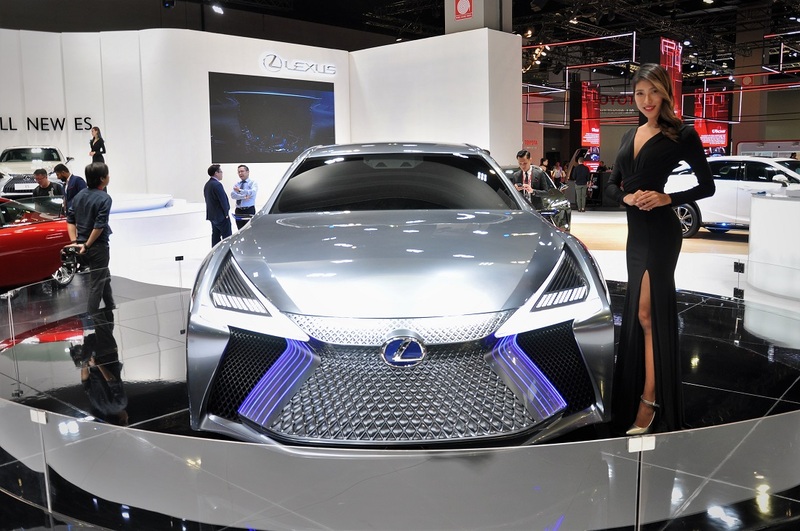 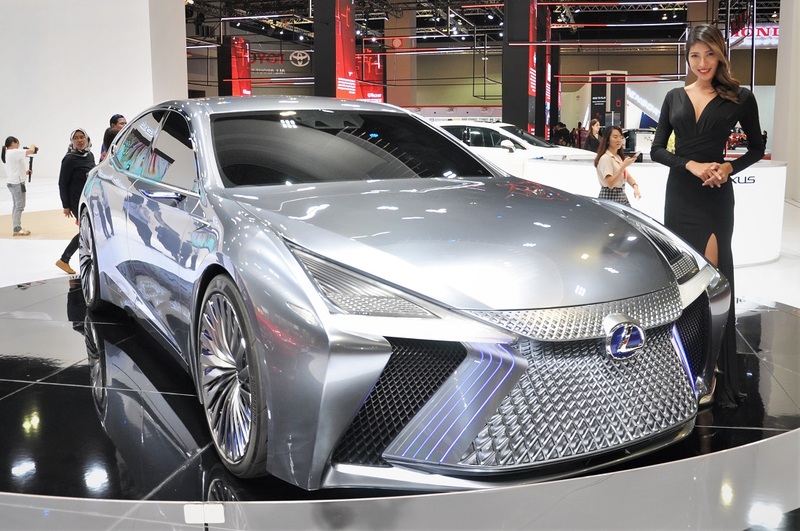 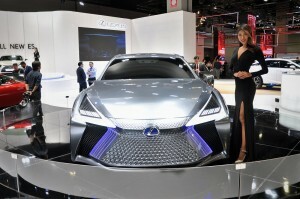 “I believe that the Lexus Malaysia exhibits at this year’s KL International Motor Show provides a valuable insight into the finesse and craftsmanship by Lexus engineers who have created some of the most impressive machines in their respective segments. 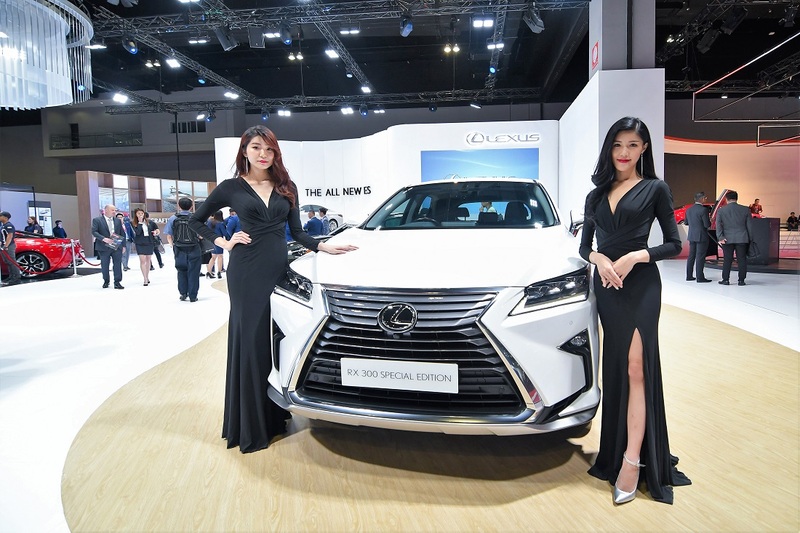 It is truly a testament of the tagline “Experience Amazing” where the fine details simply amaze,” commented Mr Akio Takeyama, Deputy Chairman of Lexus Malaysia. Visitors to KLIMS ’18 will also get to see a unique artistic installation known as the Lexus Crafted Parts Box that features components from Lexus vehicles elaborately cut and uniformly painted to showcase the detail and craftsmanship of each Lexus component. 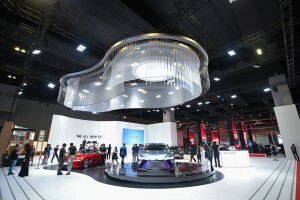 The full scale installation of this can be found in Intersect By Lexus in Tokyo, Dubai and New York City. 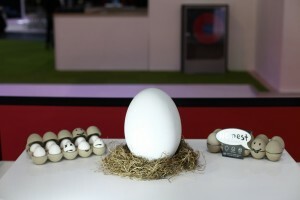 Further, the Lexus pavilion also hosts the Honest Egg display. This won the people’s choice at the Lexus Design Award 2018 at this year’s Milan Fashion Week. The design by Aesthetid (co-founded by Malaysian pair, Paul Yong and Jaihar Jailani bin Ismail) involves using intelligent colour pigment on egg shells that changes colour according to a pre-calibrated time period to determine if the egg is still safe for consumption.